Carmen, a 16-week-old Havanese, has pee pads in each room of the house, and she faithfully uses them. Once, when a pee pad was picked up but not replaced, the puppy cried out and ran into the adjoining room to use the pee pad there. When it comes to housebreaking, is Carmen unlike a typical puppy? She is a toy breed, after all, and aren’t they supposed to be more difficult to train? No. 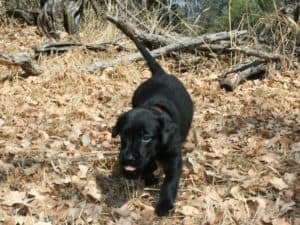 At 4 months of age, Carmen offers an example of what a puppy owner can expect if he or she practices good housebreaking methods: establishing a substrate preference, rewarding successful behavior, using containment, supervising and developing a routine. Substrate Preference – What is This? -n-Train in Oceanside, N.Y.; and author of “Training Your Chihuahua” For example, Carmen, the Havanese puppy, was taught to seek out and relieve herself on a pee pad. “An increasing number of small dog owners in urban areas or areas where weather can be really bad in the winter create indoor potty stations,” Leibstein says. Indoor potty stations can consist of pee pads, litter boxes or even indoor “grass” setups. An indoor potty station works for a toy-breed dog, but what if you have a Labrador Retriever or German Shepherd Dog whom you want to eliminate outside? “If you want to do housebreaking outside, you need to work toward that goal,” Leibstein says. Outdoor stations can include grass or mulch in the back yard, on the patio or on a wooden deck. To teach a dog to develop a substrate preference, the owner must create and reward success.When your puppy needs to relieve himself, take him directly to the desired substrate (i.e., pee pad, doggie litter box, grassy area, pine straw mulch area, etc.). “Remain an impartial observer,” Sherman says, and allow your puppy to relieve himself in the appropriate place. Then reward the dog’s success with gentle praise, a small treat, some playtime or a walk. the behavior that you want. relieving himself in inappropriate areas, Sherman says. Anytime a dog urinates or defecates on the wrong surface, he learns to thinkthat surface is an acceptable potty spot. Then he begins to establish a substrate preference for the family rug or a patio, for example, instead of (or in addition to) a pee pad or the back yard. To create the greatest possible opportunity for success and to prevent accidents, try a two-pronged training approach using containment and supervision. while you reinforce housebreaking. Once your puppy spends some time in the crate, Hubert-Markos recommends taking him directly to his substrate or potty station to relieve himself. Your dog learns to “hold it” while in the crate, and when he relieves himself on the correct surface, it reinforces his substrate-preference training. Remember to praise your pup for his success. which increases the circulation of blood through the kidneys, thus increasing the amount of urine produced,” Sherman says. If your dog does not settle into his crate and feels stressed, he likely will need to relieve himself sooner than a restful puppy might. Don’t expect your puppy to make it through the night without a potty break for a while; it might take some time before you can get a full night’s sleep. “By the time most dogs hit about 6 months or so, they should be able to go through the night [without having to relieve themselves],” Stevens says. your dog’s age and his activity level in the crate. Your puppy’s ability to hold it during the night depends on the same factors that influence how long he can hold it during the day: the schedule you’ve developed, your dog’s age and his activity level while in the crate. If your pup isn’t relaxed and sleeping for the majority of those eight hours, it’s likely he won’t be able to hold it throughout the entire night. Housebreaking success requires constant supervision whenever your puppy isn’t confined. Your goal is to prevent accidents from happening by recognizing when your puppy needs to relieve himself. Signals include turning quickly, circling, sniffing or running behind objects (such as the couch or chair or under a desk). Dogs move quickly, so you don’t have much time. Gently scoop up your pup, and take him to the correct location. Remain aware of your puppy’s activity level, too. When your dog exerts himself, his heart rate goes up and he produces more urine. If you’ve just finished a hearty play session, make sure to take your puppy to his potty station or the correct surface, and reward the behavior that you want. 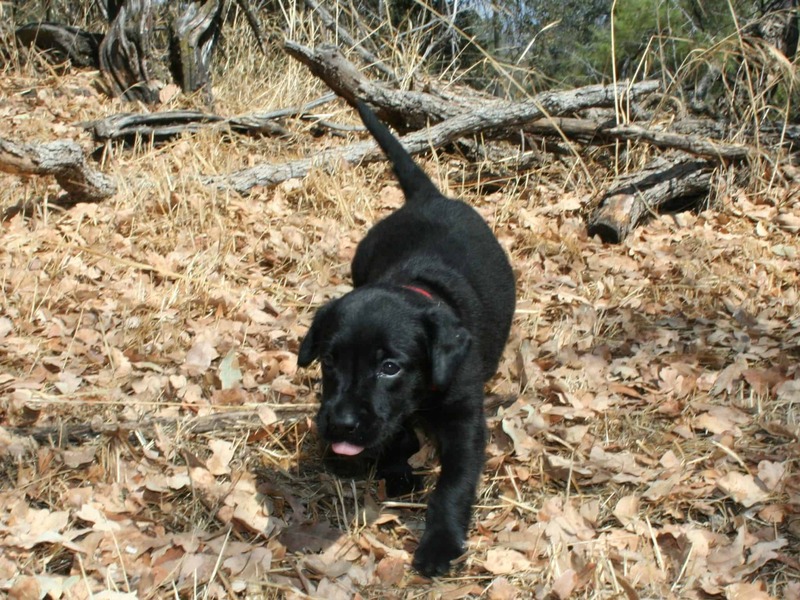 To owners training their puppies to relieve themselves on grass, pine mulch or another substrate outside, Hubert-Markos says, “Go out with the puppy, and make sure he actually relieves himself.” This ensures two things: You are there to praise your dog for the appropriate behavior, and your dog relieves himself. Otherwise, your pup might run inside and relieve himself on the floor 15 seconds later. Routine, consistency and knowing your puppy’s bowel-movement schedule are keys to housebreaking. “For most dogs, feeding stimulates the system; they will defecate within a half-hour or so,” Stevens says. Use this knowledge to develop a routine that works around your dog’s biological schedules. For most puppies, this involves going to the chosen substrate or potty station immediately upon waking in the morning. Then it’s playtime, followed by mealtime and a l5-minute lockdown or confinement period in a crate or pen or using 100-percent supervision while on leash. “This is when a young puppy learns to hold it,” Leibstein explains. Accidents do happen. Make sure you clean up thoroughly, and do not use ammonia-based products, these smell like urine to your puppy and might induce her to go in the same spot in the future. To make sure you get the smell up use a Nature’s Miracle product on our Recommended Products Page. With a reasonable schedule, close supervision and consistent management of your puppy’s routine, you can set up your dog for success. “It’s all about creating success, rewarding success and preventing elimination in the wrong places,” Sherman says. The more positive experiences your dog has, the quicker he will become reliable in your home.